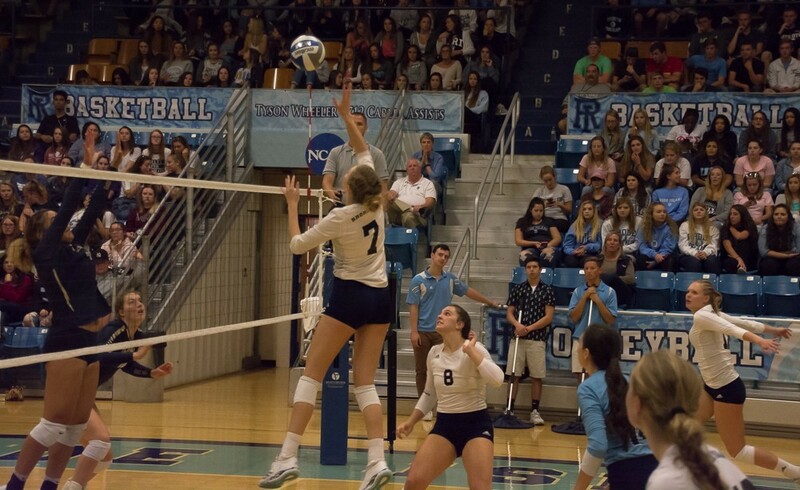 The University of Rhode Island women’s volleyball team has advanced to 3-1 in the A-10 Conference after a pair of wins on their home court. 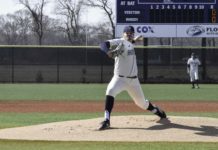 The team took down the George Washington Colonials on Friday night and then the George Mason Patriots on Saturday to finish off the weekend. 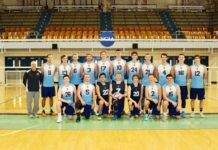 On Friday, George Washington came into the Keaney Gymnasium hoping to improve their 1-2 conference record. The Colonials started the match strong by scoring four of the first six points, but the Rams pulled ahead after scoring six consecutive points in a lead George Washington would never regain. The match ended with a score of 25-23. The Rams finished off the next match with a score of 25-19. George Washington came back to send the game into a fourth match after winning one 25-17. URI however came back on top to end the fourth match with a score of 25-16. Senior Marie Gillcrist recorded a total of six block assists to bring her career total to 310, putting her in seventh place on URI’s career block list. 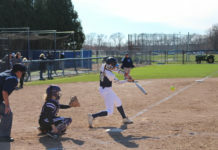 The next afternoon, URI opened up their match against George Mason with an 11 point run before the Patriots even had a chance to score. After a small comeback by the Patriots, the match ended in a 25-17 Rhody win. The next two matches ended with scores of 25-18 and 25-17. Senior Jessie Blaze recorded a team-high 12 digs with junior Lauren Pick tallying 22 assists, four digs, three blocks and two kills. The Rams will be back in action at the Keaney Gym on Friday, where they will take on Saint Louis (5-11, 2-1), and on Saturday against undefeated conference rival, Dayton (11-6, 3-0).